If you’re paying attention, you can learn about writing in the most unlikely places. I got a lesson in communicating complicated topics in a crowded brew pub. About eight of us took a “tour” of the brewery, led by co-owner and brewer Eric. Although I call it a tour, do not imagine us walking through extensive facilities. We stood over to one side of a large, open room that included the bar as well as the brewing equipment. We could take in the entire sweep of the production area standing in one place, huddling close to hear the brewer over the din of music and voices. These were not ideal conditions to learn about the chemical and biological process that is beermaking. Oh, and did I mention that we’d been sampling flights of the local ales? Perhaps, just perhaps, our concentration wasn’t quite as focused as it might be. Yet in about ten minutes, Eric at Harmonic Brewing explained beer-making beautifully. He covered the general process in general, such as what happens with the complex carbohydrates when the grain is tricked into thinking it is sprouting. 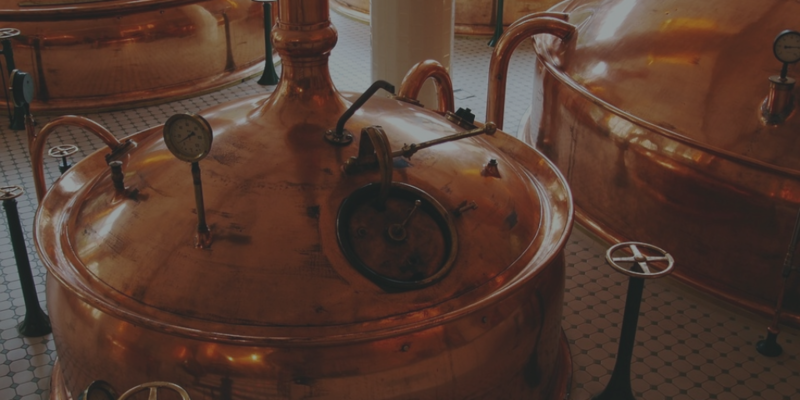 All of the things I had heard before about beer-making fell into place and made sense. Plus, I had a better sense of this particular brewery’s operations and values, and how they focused on executing the basics very well. Explaining complicated subjects is a valuable skill. I’ve spent my career in Silicon Valley trying to put uber-techie concepts into business terms, so this is something I’ve struggled with. When I see it done well, I take notice. What did this brewer do that so many people struggle to accomplish? It wasn’t any one thing so much as a combination of factors that came together to create an effective communication of a technical topic. First, Eric knew what he was talking about. He knew the subject cold (and warm, during the “hot” phase of the process). As brewer an co-founder, he was expert. And clearly, he cared deeply about beer quality. Despite his deep expertise, he managed to defeat the “Curse of Knowledge” and explain the brewing processes in a way that a slightly tipsy audience could understand. Eric didn’t try to “impress” us with his expertise. There was no need. He was a brewer and a co-owner. He knew more about beer than any of us, had nothing to prove. I mention this because sometimes, when explaining complicated subjects, we instinctively to fortify our credentials by using jargon. He didn’t do this, nor did he need to. Yes, he talked bout complex carbohydrates and fermentation. He used the term “wort” but only after defining it. Terms that I had heard before now made sense, as part of the story of the beer brewing all around us. He told us the story of the beer, from its origin to its delivery to local bars and restaurants. He also told personal stories. Until recently, he had delivered the beer to local restaurants in his own car. “I can fit six kegs in my Honda Fit.” That detail speaks volumes about the personal commitment required in starting a brewery. Standing there among the equipment, we could see each of the stages and visualize what was going on inside the various tanks. The activity of the yeast offered the most interesting visual aid. A hose snaked out out of one of the fermentation tanks into a bucket of water, and the water was bubbling wildly. The explanation for the bubbling: “That’s the carbon dioxide given off by the yeast in the tank as they digest the sugars.” The brewery controls the pace of that digestion by controlling the temperature of the tank. Makes sense. The simple visual aid (the hose and bucket of water) made the abstract idea of yeast metabolism visible. What can we learn from this process about communicating complicated technical topics? Tell stories. They give us a way to make sense of and follow complicated processes. Make it personal. Tell stories about yourself or other people. Use visual support where possible. Simplify, but don’t dumb it down. And one more idea to try: Assuming your audience is a little tipsy might give you that extra bit of clarity.